2 Lipe 1999. 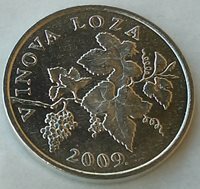 Croatian text - VINOVA LOZA, Aluminium - Croatia coin ! 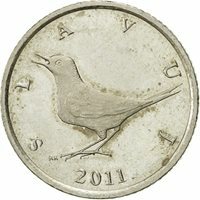 5 Kuna 2018. 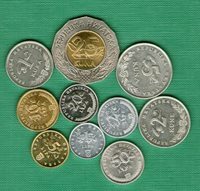 Hrvatska, Croatian coin, BEAR - URSUS ARCTOS - TOP ! 1 kuna 1996 Olympic Games in Atlanta (USA) Croatian Uncirculated coin PROFF ! CROATIA- HRVATSKA- COIN- 2 KUNE 2013- Copper-Nickel-Zinc- FANTASTIC COIN !! 1 Lipa 2007. 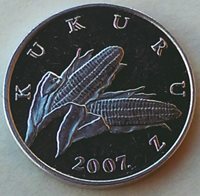 Croatian text - KUKURUZ, Croatian coin , Aluminium ! 2 Lipe 2009. 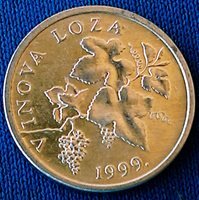 Croatian text - VINOVA LOZA, rare years, Croatian coin ! 5 Lipa 1996, USA - Olympic Games Atlanta, Croatia, Uncirculated coin, PROFF ! 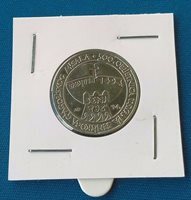 5 Kuna, 1994, 500th Anniversary - Senj, Croatian Commemorative coin ! Croatia- HRVATSKA- CROAZIA- 5 Lipa, 2007- Brass Plated Steel- FANTASTIC COIN !!! 2 Lipe 2009. 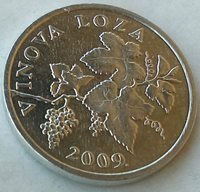 Scarce date, VINOVA LOZA, Croatia coin, not issued, Aluminum ! 10 Lipa 2017, Croatian coin, Latin text - DUHAN - NICOTIANA TABACUM , Brass !